Contemplated defusing the situation in private, but changed my mind when matters looked a lot more complicated. 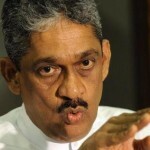 It all started (at least in the open), when National List MP and Field Marshall Sarath Fonseka (SF) made a statement at the Parliament on August 24, 2018, vilifying Senior DIG Latiff for the arrest of his supporters few weeks prior for allegedly having links to underworld crimes and/or for engaging in the narcotics trade. 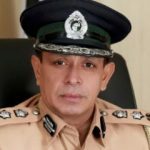 While it is a common practice for the Sri Lankan Police Department to frame innocent people and implant narcotics as evidence, it is always welcome when real kingpins and dealers are nabbed in the process. A month ago, I personally had to intervene at the Mount Lavinia Police Station when a dozen teenagers were arrested at a party by the beach for confronting the police team when their party was raided. And not surprisingly and maliciously they were charged for possessing Ganja (weed) for which the sentences would have been a jail time and/or permanent criminal record should they decide to admit guilt and save the hassle of a litigation. As a result of behind-the-scene attempts, the DIG of Mirihana Police intervened and the case was withdrawn and I believe the arresting officer(s) was interdicted. I let the matter to rest once the detainees were discharged at the courts. But many such victims are not fortunate enough to have such an audience to listen to their desperate pleas or have funds to pay for lawyers. And when SF berated in public over the arrest of some of his supporters over a similar circumstance, it did draw my attention. President Sirisena calling for the death penalty and PM Ranil Wickremesinghe having a zero-tolerance policy for drug offences has indeed driven the Special Task Force (STF) and the Police Narcotics Bureau (PNB) to expand their efforts. But when the STF, PNB and fighting organized crimes falls under the purview of one single man – SDIG Latiff, and when teams under him in their enthusiasm target only supporters of SF when similar anti-social elements identifying themselves with other Parliamentarians are left alone, I believe SF’s frustration is justified…, especially when some of the criminal charges are cooked up. When police teams raid or arrest particular suspects, the SDIG in charge is not informed prior to such actions necessarily. Hence, the SDIG cannot be held responsible for such actions as a rule. It must be also mentioned that SL Police Department is highly politicized and can act and they certainly do act in most cases under instructions from political masters. A clear example would be the current ‘Yes-Sir, No-Sir, Three-Bags-Full-Sir’ Inspector General of Police (IGP), Pujith Jayasundara who promises to prevent the imminent arrest of a particular Nilame under strict political instructions from then-Minister of Law and Order, Sagala Rathnayake. Praises the ex-Secretary to Minister of Defense, Gotabaya Rajapaksa to the hilt soon after the war, only to run him down when SF becomes a Presidential candidate in 2010. Praises the current President and helps him win the Presidential Elections in 2015, only to berate him later for not being appointed the Minister of Law and Order. Goes out all against the Rajapaksas but accepts a pardon from the same. Claims Sri Lanka belongs to the Sinhalese while soliciting for votes of minority communities and claiming to be the rightful leader of a multi-racial, multi-religious nation. Claims to fight for a corruption-free nation, but helps his son-in-law win a questionable 200,000 USD plus contract to supply equipment to the military. Claims to be transparent in financial dealings, but questions remain unanswered to-date over Rs. 75 million in foreign currency found stashed in a bank deposit box, supposedly to be that of illegal campaign funds being used for personal use. In his blind hatred towards the Rajapaksas, confides to then Editor of Sunday Leader of the validity of the ‘white-flag’ incident at the last stages of the war, only to retract it later when realizing that he too would be implicated should there be an International War Crimes Tribunal. I saved the best for last. SF makes a big hue and cry over the recent arrests and claims they were innocent supporters and absolves them of any crimes. But SF’s most trusted lieutenant and Secretary during SF’s Presidential bid was none other than Senaka Haripriya De Silva, an army officer who was convicted of armed robbery and who spent 3 plus years from a lengthy sentence behind bars. 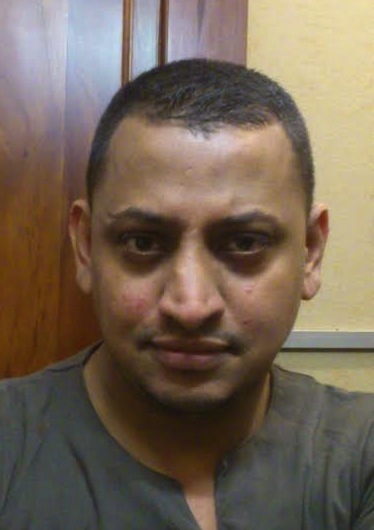 He is also wanted in Belgium over a cheating case for which the Sri Lankan government failed to extradite him due to the absence of an Extradition Treaty between the two nations. Interestingly, when a thief and a cheat currently lives at JAIC Hilton Residencies, would it also not beg the question of how he sustains himself? For SF’s sake, I just hope 2010 Presidential Elections campaign funds have nothing to do with it. Maybe it is about time we sign that Extradition Treaty with Belgium after all. I can live with all of the above…, but when SF in a fit of anger accused the relative of SDIG Latiff being involved in a drug raid that took place a couple of years back, the first question that came to my mind was how on earth did SF come to know of such and the case number particularly of the B-Report. Based on my investigations, the alleged suspect(s) in the drug raid happens to be a SIM card customer of a vendor who also happens to be a CCTV installer for the said relative. Phew, some connection that is. And if SF have some problems or a special interest about this particular slow pace of this case, he should have contacted the AG’s office or got in touch with the concerned prosecuting authority. Instead, he uses his parliamentary privileges and shoots his loose cannon of a mouth not knowing that it would boomerang on him eventually. And as for the rat who leaked the case number etc., enter SDIG Nimal Lewke! SDIG Nimal Lewke – Ex-Commandant STF, Advisor to HE President Sirisena and Security Consultant to Aitken Spence Group. Hates his former subordinate SDIG Latiff for not obliging with his request for additional Defender vehicles and extra STF personnel for his protection on his retirement. Could it be possible that Mr. Lewke forgot that the war ended a long time ago and now that we have a relatively peaceful environment? Nimal Lewke, supposedly a violent man and having threatened a widow and wife of a fallen war Hero Colonel by using his muscle and might, I am beginning to wonder how he ended up as an advisor to the President. I recall this incident which happened 9 years ago when I personally had to accompany the victim, Mrs. Ranasinghe to The Sunday Leader office in Ratmalana to expose the story as a last resort. Browsing through the net, I found this letter written by a reader in this regard to be an interesting read as well. When SDIG Nimal Lewke, abuses his official position at the Presidential Secretariat to achieve unrelated tasks and to secure his personal interests with the Aitken Spence Group for which he is a Security Consultant, should not that be the last straw for the President to fire him from the post of Advisor to The President? 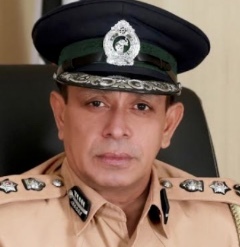 As an Independent social/political activist, I believe there has not been much of an improvement in the conduct of the Sri Lanka Police Department as a result of the appointment of IGP Jayasundara nor crime levels being contained substantially. In this context, should not the government look for alternatives? During my last two one-on-one meeting with President Sirisena, I did bring up this subject for which I sincerely believe he would take decisive decisions at the right time. Officers from the same mold can come and go, but if we are serious about establishing Good Governance, should not we think out of the box and appoint honest and efficient officers who could bring radical changes to the infamous Police Department of Sri Lanka? And if not now, when? It is not FS vs Latiff. Rather it is law and order vs anarchy and disorder . I’m niether supporter of them .. But we see law and order is Sri Lanka is gone down . Politics influence is huge . End of the day it will descend into an African country status..
We need a good law and order system ..
You cannot have law for upper class or for middle class one for poor and another for rich ? If we do it people lose hope in this government and end up like Normadic community ..
We can bring you thousands of examples that all what happened to NO limit then, even if Gotabaya or any other then high men would defend…. there are prima facie evidence to see – that it was a state terror against, own srilankens with minority orgin. iF THE CURRENT PRESIDENT. not PM, has balls to stand against INJUSTICE, he could punish these men long ago. Lanken MEDIA men are initimidated by ttoday. Even today, they just refrain not revealing the truths. Media has gone to mad… as senior journalist IVAN insisted. Current men came into power, pledging very many promises standing against crime doers. But they the president and others seem to have no balls to act properly. Not a single man is being kept in prison even if time flies. What have they been doing ? Alone the issue in Durga city, who worked with Ghanasraa then ? If Army supported him to go for that riots, he has to be questioned on that. Ghanasra has hw many charges ? My gosh, taking the lives of some but calling it as an patriotic act… where are we today ? Harry J is a smart businessman. He has hired the right guy to be his security consultant !!! Conflicts of interest are not known to guys in the Police. 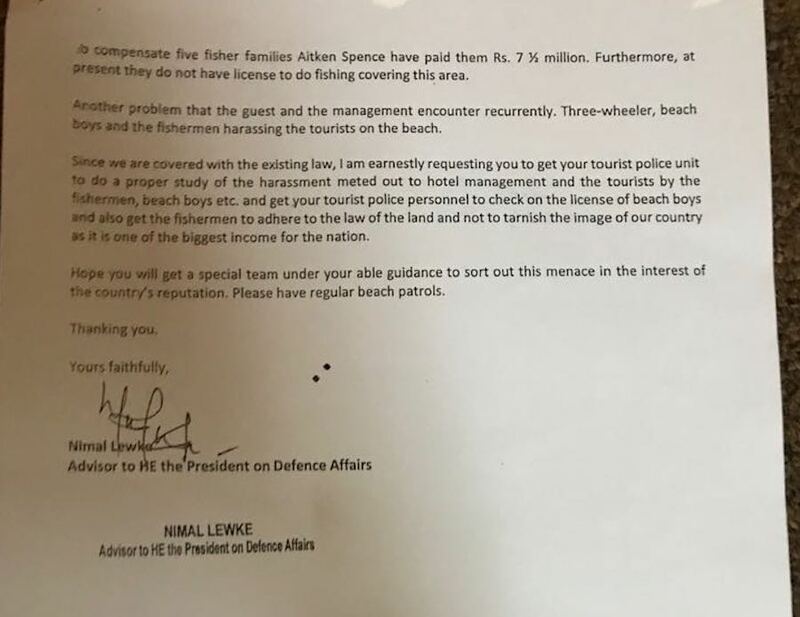 Hope Tourist Police will look into the other beach hotels problems as well. This country and nation have established a system to facilitate contract killings. Please Fazil, take of you. If taking a life has been made much easier by Rajpakashe murderers. Did you get that Ravaya Editor has made it clear, Durga City burn down was made through not by carosine or petrol but some other fuel being used in Army. That proved, that it was evidently an act under the command of former Defence Secretary. This should be complaint to international courts. Considering that the current govt has not been able to charge any SHARKS of the previous so called regime. We now absolutlely clear that former govt killed innocient people .. there are even prima facie evidence to charge them, but nothing seems to work. Ponny is a crook although Dr Ranil made him a Field Marshall and gave Ponny a Cabinet post as well. It was with the hope that Ponny will keep our brave Army Boys in higher Ranks under control with the help of Dr Ranil’s other appointment to the Commander Gig.j. But the things haven’t panned out exactly the way Dr Ranil wanted. No self respecting Army Boy will take orders from Ponny, even if Ponny is a real Field Marshall not a pensioned one. Ponny’s Son in Law running with the loot on the shoulder is old news. Our Dalit inhabitants know what the Mt Lavinia Beach Party Boys smoke while shaking to the Music which they do not even understand. This Fazi Dude getting the Party Boys off the hook of the Yahapalana Police is fascinating. But getting the poor Yahapalana Police Inspector interdicted for searching the Boys Pockets for Smack is unbelievable. If he is ,he must be in the same league as the Vellala Kid Abraham.. But dragging poor Pensioner Lewke ,to defend Fazi’s Clan member is not good legal practice. sumane,machan,you know very well the author has stated that charges were made against the boys.You can’t make charges without evidence and to do that if you plant the evidence that is a serious crime and not only should these kind of police officers be interdicted they should be jailed for at least 5 years so that the public can be safe from them.Police are there to make it safe for the public,not to do the opposite by framing. poor pensioner Lewke is getting 2 fat salries,one as advisor to the president and another as consultant to aitken spence.The letter shows a conflict of interest and that is what Fazl is pointing out here.However i like the way the letter has been drafted showing a man of class and education with administrative abilities and also there is no doubt that is is vital to protect our tourism industry and the person who received the letter was not doing his job properly and Lewke was rectifying that. In my opinion Lewke did a great job when he was the commander of the STF and so is lathif who is a fearless and honest person trying to eradicate drugs but is facing an uphill task because the drug dealers are protected by politicians. (I don’t mean fonseka).His people seem to have been targeted by some STF personnel,not Latheef. ,Welcome to the Thread, mate. Your responses are measured and sensible.. I like it. most of the people of srilanka including the yakkas and nagas are from south india.Did you not know that sri lanka broke away from india long long ago. I agree with you that there are some begali genes as well as some portuguese,dutch and british because we were colonized by them for three hundred years and they did not bring there women here and there was no birth control methods at that time. Some sinhalese also might have bengali genes but it has got corrupted over the years with south indian and how much of their DNA is bengali now to be considered a east indian?So we are a motley bunch of incorrigible lovable mongrels,but mostly of south indian ancestry. As for fonny i love his contribution to the war,but hate his temper,mouth and violent behaviour that is directed towards people who had nothing to do with the war.I remember an advertisement for the army when i was in another country displayed in an army compound.Qualifications required, bloodthirsty,enjoy killing,if serial killer, officer position considered etc.War and peace require different types of people.We have quite a diversity here for different situations. Thanks mate , You made my day…. She fancies Black & Decker the boot polishing army man who thinks he is the thinking man’s general. Your All policemen are poors and WAR Heroes. But When on the Road All Police BEGGERS are Collecting Money For kossa to Big Stars From Poor Drivers And peasants. Each Sand truck paying 100 – 200 Rs per each traffic Sentry Police Beggers. Trinco/GalenBindunuwewa to CMB.And Kinniya Mahaweli to CMB. Further G B Wewa to Jaffna Road Police Beggers. More than 1000 trucks plying Everyday to Colombo. HOW MUCH MONEY MONEY ?????????????? Collection by the Beggers. Not me, but TRUCKERS are Calling them Police Beggers . A clear example would be the current ‘Yes-Sir, No-Sir, Three-Bags-Full-Sir’ Inspector General of Police (IGP), Pujith Jayasundara who promises to prevent the imminent arrest of a particular Nilame under strict political instructions from then-Minister of Law and Order, Sagala Rathnayake. Sorry bro you got it wrong. The caller was Medamulana Psychopath Moron MR.
How do you know that it was MR and not Sagala? For Pete’s sake, it could have even been Pujitha’s schoolteacher since we Sri Lankans address our teachers’ as Sir. All the service commanders including IGP lower rank call MR as Sir! The SOB’s are still scared of the Medamulana Thug. All what have been said in this article is only a stone throw at the “Cesspit” of the Government machinery handled and managed by the “Political Animals” both in power and those “Fighting” to grab power well assisted and supported by a “Gang” of corrupted, unscrupulous “Experts” and “Heroes” who have infiltrated into the system to make a “good” living by digesting what is remaining to be called “National Assets”. Already, this country has become an “Olympian State” of well trained and rounded up “GANG OF PIRATES”, in the midst of which the rest of the people by choice have already got adopted to a “Nomadic Community”. The writer wants “Radical Change” . The question he and all of us have is WHEN and by WHOM? The only answer is: The” NOMADS” who have become “SLAVES” have to CHANGE (Free) and RISE UP against the “PIRATES”. This exposure of the behaviour of the police, politicians and hangers on, in our wonderland called Sri Lanka, is fascinating. The common man cannot get justice if the perpetrator has political muscle, and the situation is getting worse – though we no longer hear about deaths of persons in custody of police & prisons. How does an ‘advisor to the president’ also function as ‘consultant’ to a commercial entity – this can happen only in our wonderland. Congratulations, Mr. Fazi. Keep up the good work – but be careful. Thank you Muhammed Fazl for the quote ~ “Power Does Not Corrupt, Fear Does. Perhaps The Fear Of A Loss Of Power” – John Steinbeck. Some of us (including the Nobel Peace Prize Committee) thought Aung San Suu Kyi said it. She plagiarised! 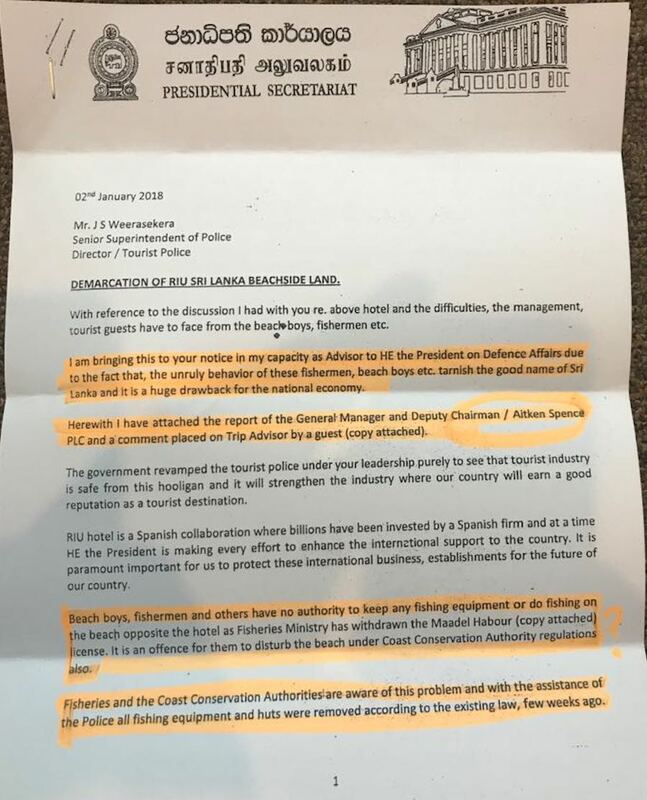 In second paragraph Muhammed Fazl (M F) describes his ‘intervention’ over the arrest of beach revellers, one or more alleged to be is possession of weeds. M F announces ~ “…..DIG of Mirihana Police intervened and the case was withdrawn and I believe the arresting officer(s) was interdicted. I let the matter to rest once the detainees were discharged at the courts”. But but but M F: Were the revellers squeaky clean? ‘Boys-will-boys’ clean? Or were high on weed-killer glyphosate? Is it possible the “SDIG Latiff Vs. FM Sarath Fonseka & Rtd. SDIG Nimal Lewke” came about because of ‘interventions’? remember what happened to Keith Noyahar when he wrote a similar article about SF and his medals? Don’t get out of your car to open the gate?Drive straight in.Keep a pistol handy to use.Have a bomb kit on your chest and if anyone confronts you tell them you are going to detonate it. S.DIG M.R. Latiff is a v.honest and Brave Police Officer. All these actions by individuals is the fight for safeguarding one’s own interests. The issue here is why did SF choose the floor of the house to make a complaint. It can be misunderstood as an act of mud-slinging. If principles of Good Governance are to be followed, then there must be a mechanism to lay bare complaints and they must be impartially investigated. If the investigation warrants an inquiry, then it must be held too and the subject must be concluded. SF is fully aware that principles of Good Governance are in the shade and is confident that any complaint made even as a Minster through proper or standard methods will neither be properly heard nor would get much publicity. After this outburst, what next? No action by powers that may be but this tirade has another major side effect. The target of SF is an officer considered to be upright and belongs to a minority community in this country. It is not surprising that a good amount of them could feel and express the view that as a community they have no place in the country. The Beruwala saga of the past regime and the Kandy saga of the present regime are bad enough from the point of view of ethnic amity. This outburst widens the rift when wounds should be healed. Watch out. White Vans were SF’s forte. Ask Keith Noyahr who was responsible for his dilemma. It was not MR nor GR but SF.. Then SF worked very closely with the MI. So watch out. They ain’t done. As for questions on his former son-in-law, yes how did he do “consultancy” to the SLA when Maamandi was the Commander and living it up in Colombo while poor wifey was in USA? He had a mistress in CMB too. But those are dirty politics. They all made money. That is why he was mad at GR; when the war ended his entire family was being wined and dined in China for weapons deals. GR turned down the deal he made so his in-laws could make millions of dollars. He was very bitter about it. His ego was huge, he did not want any of the actual battlefield commanders like Kamal G, Shavendra DeS recognized. White vans still lurk. Are we not picking angelic-angels from a rouge’s-gallery? Angels never ‘intervene’ into law-and-order issues! Fazl Mohamed a Mangala lackey brought into the political scene after 2015 jan.……… keep off Latiff’s issues. Leave it to DIG Latiff to tackle SF’s problems with SF. M.R.Latiff is a battle hardened, honest Officer and well educated unlike Sarath Fonseka. M.R.Latiff has no skeletons in his cupboard. Problem for Fonseka is that he can not claim total credit for winning the war with Latiff around. Latiff with the STF held fort in the East and kept Karuna & the LTTE at bay in the East. If not, the East would have fallen long time ago. STF moved into the East after the Military withdrew after the forced Indo-Lanka pact. Karuna dreaded every time Latiff led a team out from a camp on an operation. Karuna would not dare to move out from his liar. Sumedha Jayasena. Despite political pressure he did not cave in and as a result was transferred. Does anyone know the welfare work DIG Latiff conducted in remote interiors of Moneragala, places none knew existed. Muhhamed Fazl, DO NOT ATTEMPT TO BE A CHEAP ACTIVISTS. YOU ARE MANGALA’S POLITICAL LACKEY. LEAVE DIG LATIFF’S BATTLES TO HIM. HE IS A BATTLE HARDENED, RESPECTED AND A DECORATED POLICEMAN IN THIS COUNTRY. HE HAS STOOD AGAINST THE LTTE, RAJAPAKSHES, SO SARATH FONSEKA IS CHICKEN FEED. What business did Muhhamed fazl have to intervene onbehalf of the revellers at Mount Lavinia? Was’nt this the same place one of Mangala’s secretaries too had organised something and got caught transporting stuff there? DID YOU INTERVENE THEN TOO MF ? MF you are another mangala’s power intoxicated oxymoron. 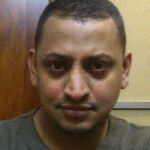 Fazi from the photo you look like a minow. 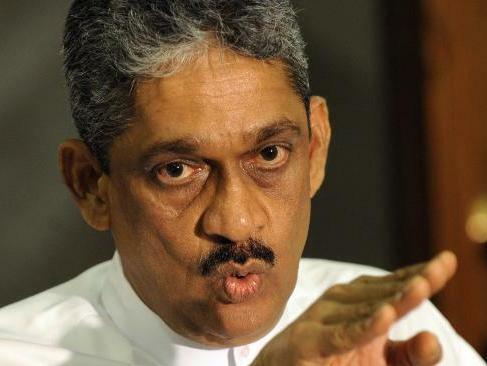 How dare you attack such a collosal figure as Sarath Fonseka? Fazi, wanna go back to your original inhabitancy – Saudi Arabia? Nope.he wants go to kerala as a guest of fonseka. If DIG Latif is planting evidence as accused by SF this is a serious crime. He must be incarcerated.